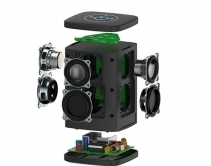 By Robert Archer · November 19, 2018 • Rikki Farr, the founder of Riva Audio, has drawn from his pro audio experience to introduce the company's Concert Smart Speaker designed to produce a wide stereo field from a single enclosure. By Arlen Schweiger · January 8, 2018 • The capabilities and installation options for Riva Audio's WAND wireless multiroom system grow with the addition of the $399 Central wireless amplifier that can be connected to various sources and legacy speakers. By Robert Archer · November 14, 2017 • Think of the Riva WAND series of whole-house audio speakers as a convenient and easy to use gateway into the world of multiroom audio. By CE Pro Editors · November 9, 2017 • Bluesound, Leon Speakers, SVS, Stealth Acoustics, Triad, and Dynaudio tie for different sub-category recognition in the Loudspeakers category during 2017's CE Pro BEST Awards. By Jason Knott · July 21, 2017 • RIVA Audio’s multi-room wireless ‘+’ WAND Series distinguishes itself from Sonos with open API, Hi-Res Audio, immersive sound, and margins for integrators; retails at $249 and $499 price points. By Jason Knott · October 21, 2016 • Rikki Farr tells how a chance encounter with John Lennon led to a lifelong career in audio working with Rod Stewart, Eric Clapton, Steve Winwood, Pink Floyd, Bob Marley and others. It eventually to the creation of RIVA Audio wireless multiroom audio system. By CE Pro Editors · October 1, 2016 • RIVA WAND is a simple-to-use multi-space audio system for delivering high-quality music. Listen to hi-res music or favorite music services from any networked or online source. The RIVA WAND app creates zones, streams different music through the house, voice controls the system and will provide future features through RIVA CONCIERGE. By Jason Knott · September 27, 2016 • Comparing today’s audio systems to an ‘elephant’s fart’ in terms of quality, RIVA Audio comes out swinging at CEDIA 2016 with sleek, high-quality wireless networked audio system that promises strong margin for integrators. By Julie Jacobson · September 21, 2016 • Dealers universally embraced Sony, Bose and Riva surprised with strong home theater demos from little speakers, and Crestron gets mixed reviews on Sonos implementation at CEDIA 2016. 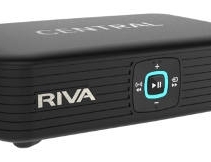 By CE Pro Editors · September 19, 2016 • The RIVA S is a premium Bluetooth® mobile speaker delivering an unmatched personal entertainment system that perfectly compliments any music listening experience.